Maize oil extraction strats from maize kernel preparation. Maize kernels are dehulled and then crushed with a grooved roller to break down the cell walls. The resultant cake is then wet milled, steeped in water acidified with sulphur dioxide to separate the components of the seed. Oil is expelled from the germ using heated screw oil presses, which can yield as much as 50 percent of the germ oil. And the remaining oil is stripped from the press cake with the solvent hexane. The maize oil in the hexane solution is heated to vaporize the volatile solvent, which is captured as a condensate and used again. Then the heat expelled and hexane extracted oils are combined as crude maize oil; the remaining cake is processed for livestock feed. Crude maize oil is filtered and then degummed. maize oil is bleached with clay that has been activated with acid wash to remove any metals native to the clay. 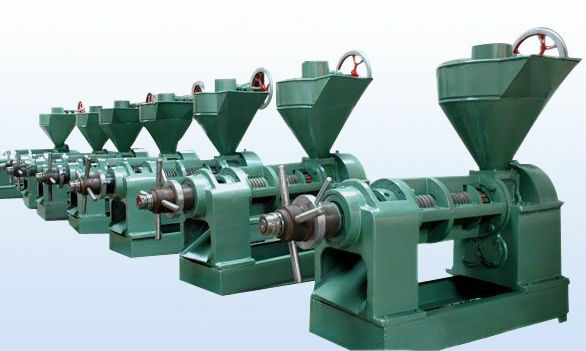 Welcome to contact us anytime you are interested in maize oil extraction, we also offer a large range of professional oil extraction machinery for you to choose. We are always at your service!